We are always trying to do better for our families’ health, right? So when we upgrade to BPA free plastics, we think we’re doing the right thing. Below, contributor Rheagan explains why it might not be that simple. When it comes to plastics, BPA free has been a buzz word for going on a decade, ever since news of the dangers made its way into the public spotlight. The move to BPA free plastics was intended to provide consumers with a sense of security and safety in purchasing products promoted as being free of this toxic chemical. But are BPA free plastics really any safer? If you are unfamiliar with it, bisphenol A, often referred to as BPA, is a chemical used in the production of polycarbonate plastics and epoxy resins. It is used to help harden plastics and as a plasticizer to produce tough, durable resins. BPA is also an additive used in the production of polyvinyl chloride (PVC). Initially discovered in the late 1800s, it wasn’t until the mid-twentieth century when scientists established the use of BPA in plastics. Where is BPA typically found? BPA can most commonly be found in items such as food storage containers (including canned foods), water bottles, baby bottles, children’s toys, thermal paper, medical and dental devices (including dental fillings and sealants), electronics, and sports equipment. Plastics containing recycle codes #3 or #7 contain BPA. Resins containing BPA are often used to prevent corrosion and breakdown of metal. You will find these resins in items such as canned baby formula, food and beverage cans, metal lids of glass jars, and even water supply lines. Is BPA harmful to humans? While believed for years to be a weak environmental estrogen, there is mounting evidence connecting BPA with a variety of human health issues. Routes of exposure include ingestion, inhalation, and transdermal absorption. That’s right, you can absorb BPA through your skin! BPA also has the potential to bioaccumulate, which means that once it’s in your body, it does not really like to leave. What does it mean to be BPA free? Despite decades of research indicating the dangers of BPA, governments and major manufacturers failed to take major steps to reduce BPA exposure until 2008. That year, Canada became the first country to deem BPA a “dangerous substance”, and retailer giants Wal-Mart and Toys-R-Us have phased out baby bottles containing BPA. (source) The trend towards BPA free plastics has grown since then. BPA free means that bisphenol-A has not been used in the manufacturing process of the plastic in question. Is BPA free plastic really safe? 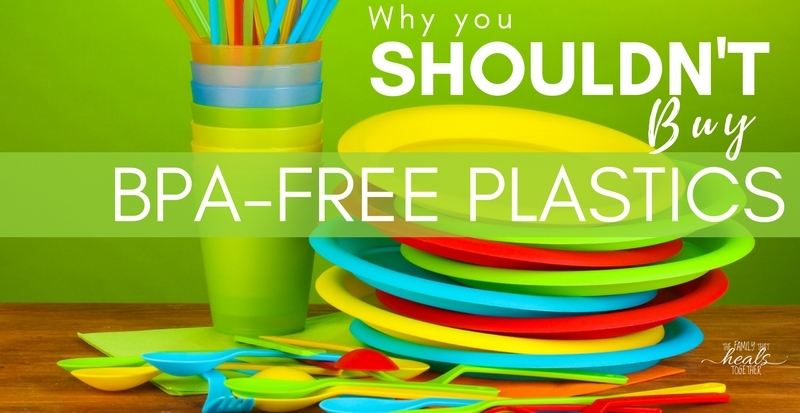 Unfortunately, there are two problems when considering the safety of BPA free plastics. One is that plastics labeled as BPA free have been found to still leach low levels of BPA into the contents of the containers, even in cases of non-polycarbonate plastics. (source) The other is that the chemicals typically used to replace BPA may be just as harmful as BPA. As BPA was phased out, bisphenol-S (BPS) was favored as its replacement. BPS was thought to be more resistant to leaching than its predecessor. This was a mistake. Studies show that an estimated 81% of Americans studied have tested positive for BPS, and a 2013 study has found that even trace levels of BPS can disrupt cellular functioning (source), potentially leading to many of the same health risks as BPA. Some research indicates that BPS may be even more dangerous than BPA in accelerating embryonic neural growth that may lead to hyperactivity later in life. (source) BPS has also been found to incite heart arrhythmias in female rats and interfere with calcium channels due to its estrogenic properties. (source) Bisphenol-F (BPF) is another potential replacement for BPA, but, like BPS, has been found to be just as problematic as BPA in human and animal research (source), though neither chemical has been adequately studied. Invest in glass or stainless steel water bottles and travel mugs. We like these glass water bottles for grownups and these for kids. There are even glass baby bottles if you need those. Try a stainless steel mug like this for coffee or hot tea. Replace plastic food or storage containers with glass or stainless steel. With some minor precautions, glass jars and containers work very well for freezing foods (make sure glass is tempered like this set for best results). A good quality stainless steel vacuum bottle can keep food or beverages hot or cold for hours. Consider silicone or beeswax products to cover food for storage. Try these beeswax covers or silicone lids like these or these. Swap out your plastic kitchen utensils and cutting boards. Use a bamboo cutting board and wood or stainless steel utensils. → If you do buy canned foods, go for foods in glass jars rather than metal tins. Metal lids will likely still have a bisphenol coating, but it will be less than if the entire container were metal. Some companies, such as Eden Organic, use an enamel coating in some of their products instead of a bisphenol resin. Buy children’s products made from wood, natural rubber, and cotton and avoid plastic toys. Melissa and Doug is a popular brand readily available at many stores. Be sure to seek out a holistic dentist and request non-toxic dental filling and/or sealant options. Read more about how to know if your dentist is truly holistic here. Since BPA is so pervasive in our environment, it may seem like a daunting task to avoid it. In truth, it is likely impossible to avoid BPA entirely, but that does not mean that making better choices for you and your family is not worth the effort. Every journey begins with a single step. Start with implementing some of the steps mentioned above where and how you can, and your body and the environment will thank you for it. What products have you swapped out in your home? What’s next on your list to replace? Fluoride Dangers: Is Your Family At Risk?